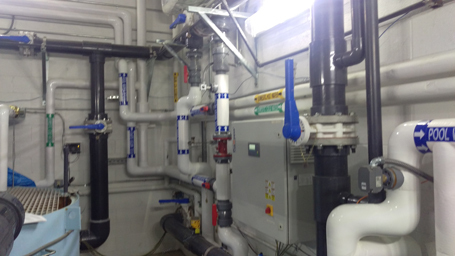 Counsilman-Hunsaker was commissioned by the College of William and Mary to provide an audit of the recirculation system, water chemistry treatment system, and HVAC air distribution system, and to provide an opinion of probable cost for items identified in need of maintenance, repair, or upgrade. Specific observations and recommendations were further clarified in the report with an itemized list of recommendations and corresponding cost estimates. Pleased with the result of the audit, Counsilman-Hunsaker was once again retained to replace the pool mechanical systems with regenerative media filters; and install a new surge tank, recirculation pumps, and associated chemical systems. 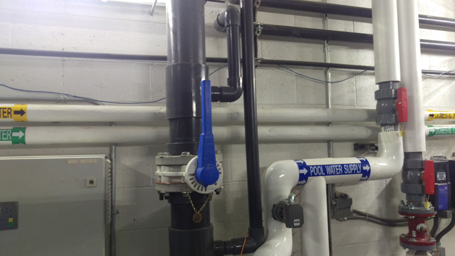 Other renovations included a new HVAC system in the natatorium and the addition of equipotential bonding in and around the pool.